Teachers report experiencing frustrating issues in using games for instructional purposes. Teachers' inability to use games is further compounded by the lack of teacher education or professional development programs that focus on developing teacher competence in adopting game-based learning, particularly at the pre-service level. Thus, in this chapter, the Game Network Analysis (GaNA) framework is presented as a methodological approach developed to aid teachers in teaching and learning with games in educational contexts. The application of GaNA is highlighted through case studies with pre-service and in-service teachers. The case studies illustrate how GaNA, through a focus on game analysis, game integration, and ecological conditions impacting game use, can empower teachers to adopt game-based learning in a systematic, but adaptive manner. 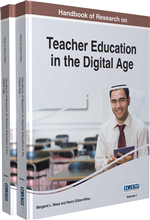 The chapter concludes with a discussion of future directions for teacher educators and educational researchers who are interested in developing teachers' knowledge and skills in game-based learning. Researchers agree that current approaches being taken to study the effect of games on student learning and motivation are limited. As such, only slim evidence in support of game-based learning has been found. Specifically, they argue that current approaches are based on the assumption that the effectiveness of game-based learning on student academic achievement and motivation is solely due to the effect of a game (Tobias & Fletcher, 2012; Young et al., 2012). Not surprisingly, the field of game-based learning is undergoing transformation with more researchers arguing for the need of an ‘ecological’ approach. Specifically, what has been advocated for the advancement of the field is an approach where the effect of games on learning and motivation is studied while paying equal attention to the teachers’ roles in game-based classrooms, the process of game integration, and the context in which the game is integrated (Klopfer, 2010; Steinkuehler & Squire, In Press). We believe this is the direction in which to move forward as well, because games are becoming more interdisciplinary, immersive, and interactive. Furthermore, we argue that empowering teachers in the methods of game-based learning can facilitate systematic practices in adopting game-based learning in school contexts. Doing so is important for at least three reasons; teachers are traditionally an underrepresented group in the game-based learning literature (Hwang & Wu, 2012); teachers’ competence in using games can facilitate meaningful learning experiences for students (Silseth, 2012); and pre-service and in-service teachers are interested in using games for instructional practices, but teacher education in game-based learning is in its infancy and needs comprehensive approaches to develop teachers’ competence (Franklin & Annetta, 2011; Li, 2013; Takeuchi & Vaala, 2014). Game-Based Learning: The use of games directly in the process of teaching and learning. Inquiry, Communication, Construction, and Expression (ICCE): ICCE is framework that is use to describe the type of experiences learners should have in game-based learning. Hence it is used in analyzing and integrating games for opportunities related to Inquiry, Communication, Construction, and Expression. Technological Pedagogical and Content Knowledge (TPACK): In general, TPACK refers to the type of knowledge teachers need for teaching with technology. Here it is repurposed as a lens for to focus on Technological, Pedagogical, and Content Affordances in games for learning. Game Analysis: This refers the pedagogical possibilities of games. It is the analysis of a game in order to determine the pedagogical, technological, and content affordances of the game in preparation for use in a classroom. Ecological Conditions: The contextual and situational conditions impacting the use of games in schools. Game Integration: The implementation of games into classrooms to meet desired learning goals. Play Curricular activity Reflection Discussion (PCaRD): A systematic pedagogical model for aiding teachers in adapting games in their classrooms.